Okay…. Back to the gardening business! 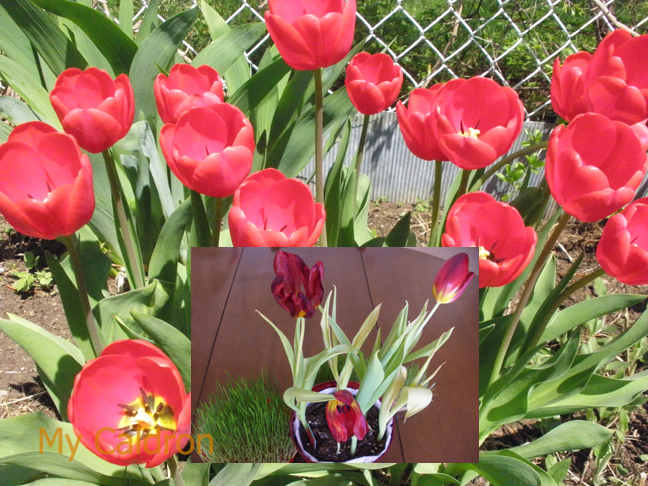 When your tulip or hyacinth dies out (usually after two weeks), cut the steams but let the leaves on and continue watering the pot until the leaves get yellowish and die out. The leaves feed the bulbs and help them survive till the next year. When leaves dry off, cut them short too. Dig a deep (15-20 cm) hole in a designated location in your garden and replant the bulb along with the earth surrounding it. 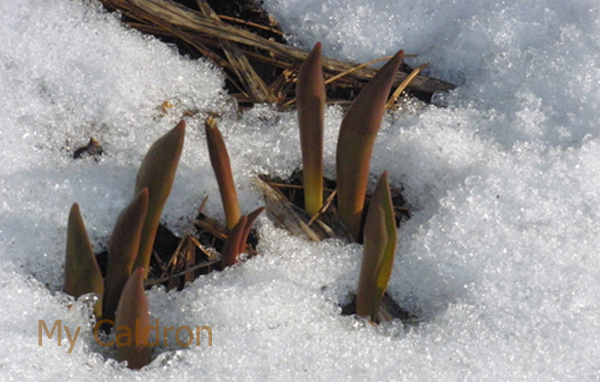 Next spring, as soon as the land comes back to life the bulbs poke their heads out of snow to re-flourish – to your absolute amazement and joy. Yes, they survived the whole winter! Most if not all of these bulbs will give flowers sometimes around May or April of the next year. If and when they do, they are such a joyful burst of surprise in your garden. Remember, the same plant would not rejuvenate beyond 2-3 years. 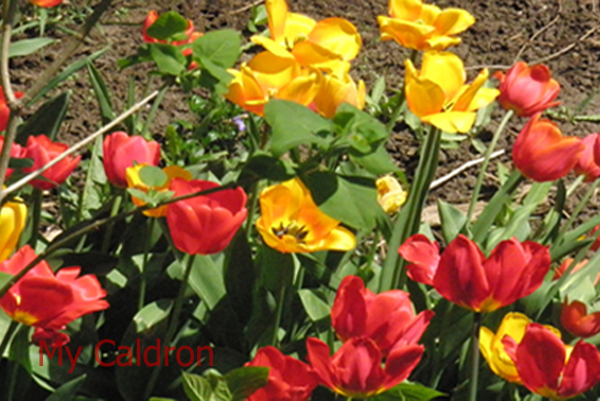 To have a flowerbed full of spring flowers, I always buy and plant new bulbs in fall and stick them next to the old ones.